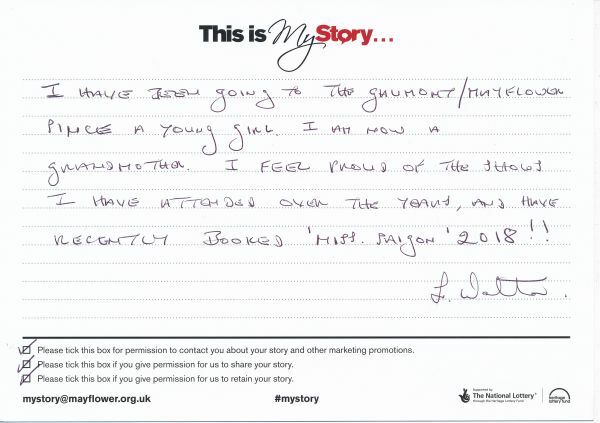 My Story Card: Lynda Walton recalls seeing shows and talks about her plans to visit the theatre in the future. I have been going to The Gaumont/Mayflower since [I was] a young girl. I am now a grandmother. I feel proud of the shows I have attended over the years and have recetly booked 'Miss Saigon' 2018! !